Recently, I have had an increase in clients who live in other states and want to retire in Fort Collins. Why wouldn’t you want to retire in Fort Collins? It was rated the number one place to retire by Money Magazine many times and not only that property taxes here are some of the lowest in the nation as are utility bills. 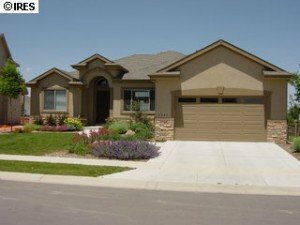 Buying Fort Collins Patio Homes is a good way to invest and live in a relatively maintainence free home. The weather is relatively good with approx 300 days of sunshine a year so you don’t have to do a lot of shoveling of snow in the winter. We have a vibrant Old Town with many great restaurants and shops that from some neighborhoods are easily walkable. It is also a college town which attracts numerous kinds of speakers and activities. Housing prices here are still relatively low compared to many other areas of the United States. Lots of great neighborhoods with walking and biking trails. There are even a few golf course neighborhoods that appeal to the young at heart. One level home – ranch. All main living is on the main floor including the laundry. HOA maintains the exterior of the home and maintenance. There is a HOA fee associated with this but the peace of mind to be able to “lock and go” is priceless. Get out and enjoy your life without having to worry whether your driveway is plowed or not. Outside maintenance taken care of an HOA – this may include snow shoveling, lawn maintenance and trash, it may not. With an associated fee. Every HOA has their own rules and regulations so it is best to check with each one and find out what it does and does not cover. In Fort Collins most of our homes include a basement this is just something that you will need to realize, whether or not you decide to use that space is up to you. You can just shut the door and never go down there. About 95% of the homes here have a basement space of some kind, even Fort Collins Patio Homes. So to search for a home without a basement is just not realistic. And for resale purposes you would not want to do this either since you would be excluding a huge percentage of the population that wants or needs a basement whether it is finished or unfinished that is a different story. I hope this answers some of your questions on what exactly a patio home is. If not feel free to contact me for a more detailed explanation and we can schedule a showing so you can check out some Fort Collins Patio Homes.